I have been living and working in the Hanover area since graduation. Haven't moved very far from home. 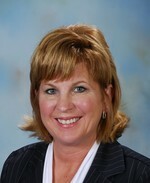 I have been woking in the Real Estate industry since 1989 and am currently with RE/MAX Quality Service, Inc. in Hanover. It has been very challenging and interesting at the same time. I love working in my home town as I get to see a lot of old friends and aquaintances. Looking forward to seeing everyone at the 30th (I can't freaking believe it) reunion. Christine Shank Dell has a birthday today. Christine Shank Dell has a birthday today. New comment added.